The Chelan Complex includes the Reach, Black Canyon, McFarland Creek, Cagle, and Antoine fires. 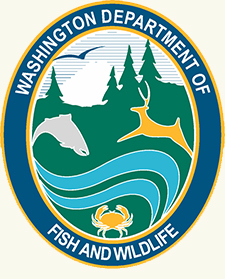 The interagency BAER team includes three hydrologists (two trainees), three soil scientists (one trainee), a botanist, three fisheries biologists, a recreational specialist, two geologists (including the Washington Dept. 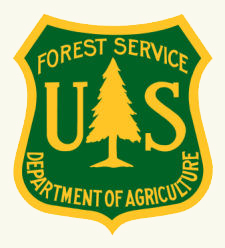 Natural Resources Hazard Geologist), and the Forest Service’s Southwest Region BAER Coordinator. 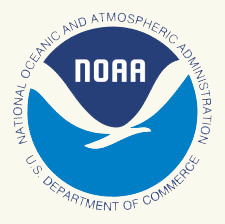 BAER emergency treatment objectives may allow for a more efficient passage of water to increase protection from accelerated erosion for infrastructure and watersheds, as well as from the spread of noxious weeds within the burned areas. 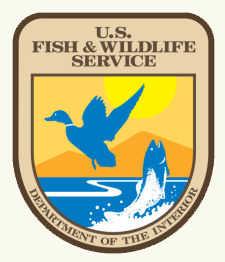 Controlled access may be established in areas where it is not safe for the public to enter, or in areas that require recovery of natural resources without additional detrimental impacts. 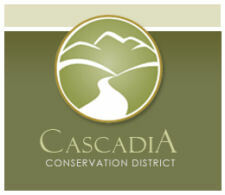 Hazard tree and rock slide removal along trails and roads may occur, along with installation of safety and informational signage in hazardous areas. Storm-proofing for roads and trails may include removing outside berms, installing critical dips, cleaning debris from culverts, and placement of riprap along drainage routes. 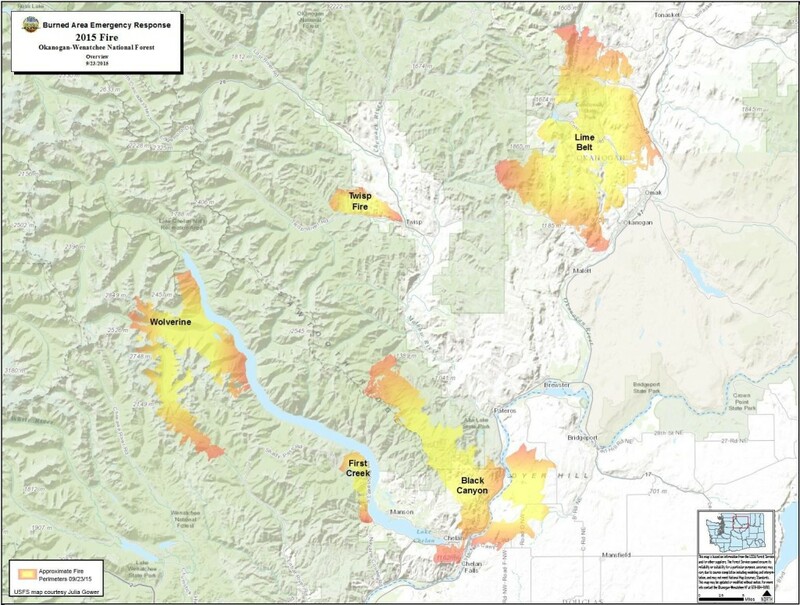 The Okanogan-Wenatchee National Forest is assessing long-term recovery management that may include a variety of resource restoration activities and projects. 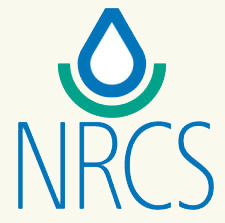 The Natural Resources Conservation Service is cooperating with area counties, cities, and communities to evaluate threats to businesses, homes, and landowners.